This is a blueprint for how to begin building dreams into reality. Literally, in 5 Minutes, you can understand the cornerstones of a brilliant Business Plan! The purpose of this article is to provide the parameters for a quick analysis of an idea to determine its possibility, and probability, of actionable success. 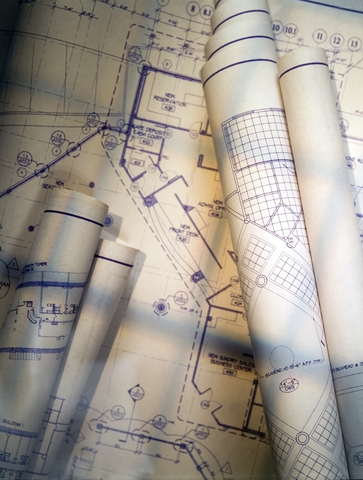 As with any legitimate construction project, we build it on paper, first. The concept of beginning here is novel for a Business Plan. Yet, this number will keep our attitude right and provide the Retained Earnings for business expansion. One of the principles of success is: Begin with the End in Mind. Unless adequate funds are available for start-up, the early years will include a Banker for a partner. The goal is to buy them out as quickly as possible to retain their share of profits, which are paid out of our business as Interest. Self-employment, Federal income, and State income taxes must be paid timely. Because of severe penalties for non-compliance, governmental entities are a bad source of financing. This is the delivery system of providing value to the marketplace. It is everything from the brick-and-mortar to indirect expenses. It is the price we pay to have a Company. Each project and customer will want, and need, something different. The flexibility to “Wow!” them requires additional expenditures. All of the above is accomplished by understanding the finite number of units available for distribution. For service enterprises, this will be a reservoir of “Hours”; for a products company, this will be the capacity of the “Shop”; and, for an inventory business, this will be the “Goods”. For those providing Services to the marketplace, the final step is to divide Productive Units into the Customer Value. Full-time employment is 2,000 hours per year. Entrepreneurs will work much more than that — with only a percentage actually billable to Customers. If our Start-up Enterprise team can be 86% productive (after allowance for duties of internal and external management) each Employee has an annual reservoir of 1,720 billable hours. Those providing Products, or Inventory, for sale to customers, will factor in the Direct Costs. In fact, they will consider the number of meals (if a restaurant), or suits (if a boutique), as their Productive Units and establish their Mark-up, accordingly. The rest of the story from our successful builder, quoted at the beginning of this article, “Find something you love to do and do a lot of it.” If we are able and willing to tap into that passion and grasp the foundational principles of a Business Plan, we are simply minutes away from A Better Business Plan — and, a new beginning!